As our lives become more absorbed in screen time rather than the great outdoors, it feels essential to open up our senses again to the riches of nature, reestablishing our connection with the heartbeat of the Earth. In this book, Fay Johnstone provides a road map for bridging the gap between plants and people, allowing our sacred relationship with the Green Kingdom to be restored. Fay shows how to confidently meet, explore, and build relationships with key plant allies to enjoy a more balanced connection with yourself and your environment. Sharing her passion for the plant world, she provides a practical guide to rekindling your connection with nature, opening up to plant consciousness as a way to enrich your path and weave the enchantment of nature back into your own life. She includes more than 40 simple, practical exercises and meditations to guide you on a heart-centered journey of transformation and commune with the environment, the seasons, the cycles of the moon, and the Earth Heart. Addressing plants as conscious beings we meet their spirit, while at the same time aligning with our own true nature and sense of purpose as a creature of this Earth. The book also introduces the shamanic practice of plant spirit healing, emphasizing that ceremony begins at home with our local plants, rather than with the famous plant healers of the Amazon. Guided meditations and shamanic journeys enable a deeper exploration and interaction with the spirit of plants for healing and support. 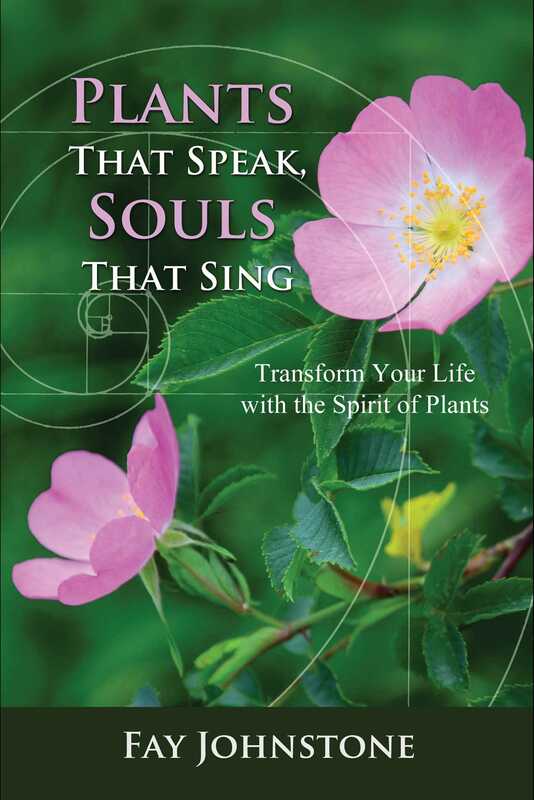 The author offers practical advice on how to initiate a conversation with plants and meet a plant ally with wisdom teachings specific to you and your path. Whether you explore your back garden, office plants, or morning cup of tea, Fay reveals how to introduce the magic of plants into your daily routine and appreciate the important role plants play. Reaching out to interact with nature is a step forward not only on your personal journey to wholeness but also toward healing our Earth. We are linked with plants through our breath. When we focus on this breath and consciously connect to the plant by giving and receiving the breath, we find ourselves intimately connected to the plant and it can be a very moving experience. After having spent some time observing and hanging out with a plant that wishes to interact with you and that you wish to get to know better, try the exercise below and meet the plant consciously with your breath. Once you get the hang of it you can choose to consciously breathe in this way whenever you are out in nature. This exercise is inspired by the Green Breath, which was developed by Pam Montgomery in her book Plant Spirit Healing. Get yourself comfortable by the plant of your choice, make sure you have appropriately introduced yourself, presented an offering, and explained your intention to get to know the plant better and share the breath of life. If at any stage you don’t have a good feeling about doing this then try working with a different plant or try again another day. Begin by focusing on your breath and grounding into the space that you are in. As thoughts arise just observe them come and let them go. You may become aware of the scent of the plant connecting to you. As you breathe in and out place your attention into your heart. Stay with the breath, the visualization, or the mantra for at least 20 minutes. Notice what occurs in your body and your emotions. You may even feel as though you have begun to merge with the plant. When you feel ready to leave, tell yourself that you are stopping making the conscious connection with the plant, give thanks to the plant and leave the area. Make notes of your thoughts, feelings and sensations as you were doing the exercise. During our first year running the flower farm, I experienced a gradual opening to nature consciousness and if you are a gardener or someone who likes to enjoy the outdoors, you will be familiar with this feeling too. It’s a feeling, a way of being, that ensures that every time we are outside, we find our hearts searching for a green space, for a living, thriving example of the Plant World for us to acknowledge. While nature has this subtle way of permeating our hearts and lodging herself there to grow and blossom, she also enjoys a dramatic element of surprise when she really wants your attention in a big way. Think of the last time you were out for a walk or a drive and suddenly turned the corner to reveal a breath-taking vista that left you speechless and in a state of awe. Stand outside on a non-rainy day, preferably somewhere you can surround yourself with or at least absorb fully a beautiful scene from nature. I am really fortunate because within moments of stepping outside my front door I am blessed with trees, fields and hillsides. If you are more urban then head out of your front door with the intention of finding beauty in nature. You may find yourself in a park, settle in your garden, or discover a quiet leafy residential street where the sun is shining. Here in your spot of beauty, absorb the scene with all of your senses. Open your eyes and fully observe the colours, the way the light reflects, the way the plants interact with the sky, the Earth and each other. Open your ears and start to really listen for the subtle sounds that are going on beyond the more obvious noise. Open your nose and breathe, open up that sense of smell to whatever might be present. Open your sense of touch and start to feel the interaction of this scene with your skin. Perhaps there is wind, moisture, cold or warm air surrounding you. Or perhaps there is something luring you that you physically really want to touch and grab hold of to know how it would feel against your skin. Open your mouth and breathe here as if you are swallowing the entire scene with one single gulp. Is there a taste left in your mouth, is there a sensation left on your tongue, what word would describe it on the tip of your tongue? Open your heart and breathe here as if you are breathing in the natural scene in front of you. As if you are breathing all that you see, hear, smell, touch and taste, into your heart. Allow your heart to open more to hold this beauty and life. Tell the scene in front of you of the beauty that you see, hear, smell, touch and taste. A simple whisper of “you are beautiful” is enough, but see what flows. Perhaps you need to express to each living, growing part of nature that you are experiencing, how beautiful it really is to you. Spend as long as you need to in this space of simply honoring, simply recognizing the beauty that is growing and glowing around you. Pause, be still, breathe for ten breaths and allow a response. Feel for a response in your body. When you are ready to leave your area of beauty say a thank you before heading home. Write down everything in your journal - you will forget even the simplest of things and these often carry the most power. Fay Johnstone draws on her experience as a former owner of a flower and herb farm in Nova Scotia and her shamanic training to assist personal transformation with the subtle whispers of nature. She offers workshops on plant spirit connection and shamanic treatments across the UK, online, and from her home near Edinburgh, Scotland.